The above examples are all but a few among the software recovery methods. Software recovery can work with some hard drives, if they aren’t too badly damaged. 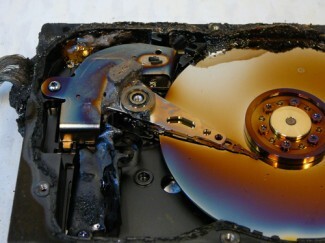 If the hard drive has been damaged by flood, fire, or other physical damage, it will probably need to be rebuilt. Again, if you don’t waste in time seeking a technician, you may be able to get everything fixed. Rebuilding the hard drive will take quite a bit of time, as the technician will have to go through every inch of the drive and replace the parts that have been damaged. As important as your data is, it is always in your best interest to get on the ball and don’t let any time be wasted. Time is always of the essence, especially when it comes to recovering all of your data and information. Time will always prove to be the ultimate and deciding factor with your information – which is why you shouldn’t let one precious second be wasted whenever something happens to your hard drive. Data Link Professionals offers software data recovery to all our contract clients for FREE! If you data is unrecoverable via software, then we also have reduced rates on hardware recovery. Contact us for more details.